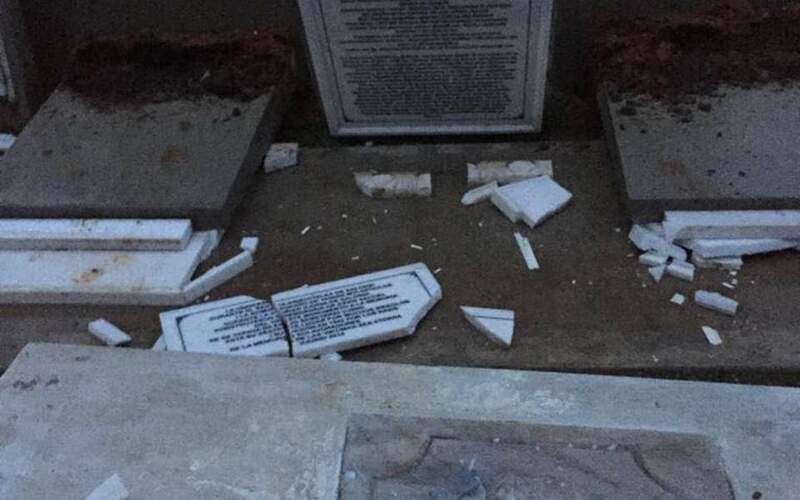 BRUSSELS - The World Jewish Congress stands with the Central Board of Jewish Communities in Greece, an affiliate of the WJC, in categorically condemning the despicable vandalism of the Jewish Monument on the campus of the Aristotle University in Thessaloniki. The very same monument was vandalized last July. “This despicable act of vandalism, just two days before International Holocaust Remembrance Day, underscores the very reason why it is imperative for Jews and non-Jews alike to preserve the memory of the Holocaust and call global awareness to the real and present dangers of antisemitism, bigotry, and xenophobia. Anybody who believes that such hatred is relegated only to the past is severely mistaken. Antisemitism is alive and well today and continues to pose a constant threat to Jews worldwide,” Singer said. “I visited the Jewish Monument in Thessaloniki during my visit there some two years, and met with the governor, the mayor, and other city authorities, and I know how deeply they care about the safety and protection of the community,” Singer added. “We greatly appreciate the condemnation that has emerged from Thessaloniki in the wake of this atrocious incident, and trust the authorities are taking every measure possible to bring the perpetrators of this desecration to justice and doing everything in their power to prevent such acts of hate from happening again,” he said.